Picking up a new Red Cat Gen 8 Scout in orange from the local hobby shop tomorrow. I'd go get it now but it's been snowing all day and I'm not going out in it tonight. Has anyone had any experience with this truck? Looks like it'll need a better steering servo and tires but I already have a nice spare set of wheels and tires that I can use on it and I have a nice Savox steering servo too so no extra cost for me! Also I'm told it has lipo battery protection so I have perfect batteries already from my TRX-4. It looks like it's going to be a nice addition! A friend has one, and it looks a nice quality piece of kit. 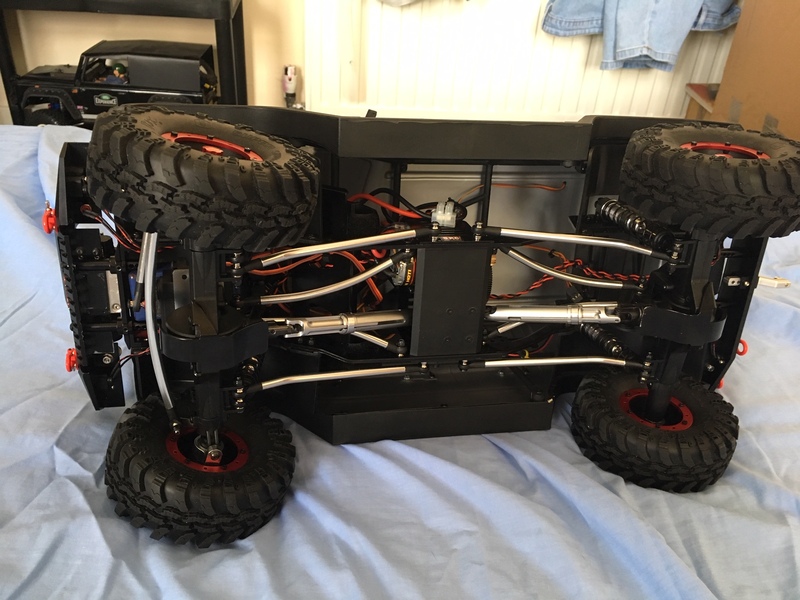 Like every crawler on the market the steering servo needs replacing, and decent tyres and foams are always a good idea (though the TRX has excellent ones). One thing we discovered last weekend, started off in muddy/wet conditions, and within 30 minutes we were looking at each other...we were around 1300ft above sea level in a windswept quarry. A gale force wind picked up, the temperature dropped like a stone, and we were suddenly in the middle of a complete white out blizzard. 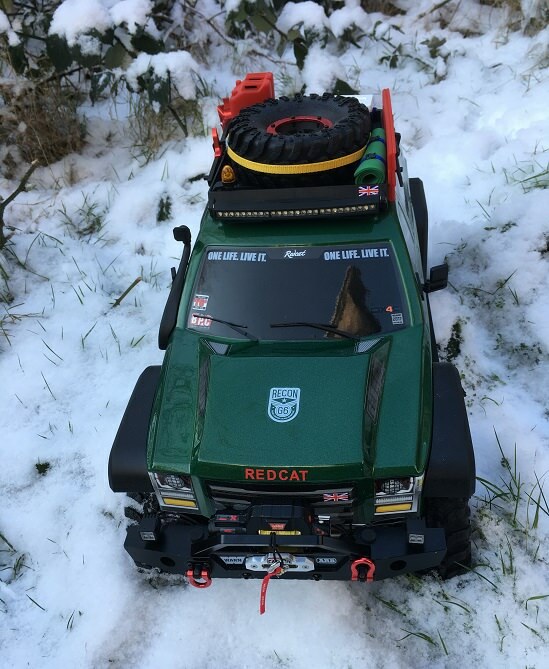 We called it a day, but one thing we noticed was that the foams on the Redcat had frozen rock solid! Wow! Glad you guys made it home ok in that storm, good grief! The TRX does come with very good tires! But the wheels have silly holes in them which lets water in. I taped over the holes on my wheels, squeezed out some of the air which lent to the aired down appearance. My aftermarket wheels get weighed with 3 oz of weight each and are beadlocks so I squeeze some air out as I mount the beadlocks but I keep them sealed! I always run into water so for me keeping water out is more important. I go pick it up in 2 more hours! Can't wait! 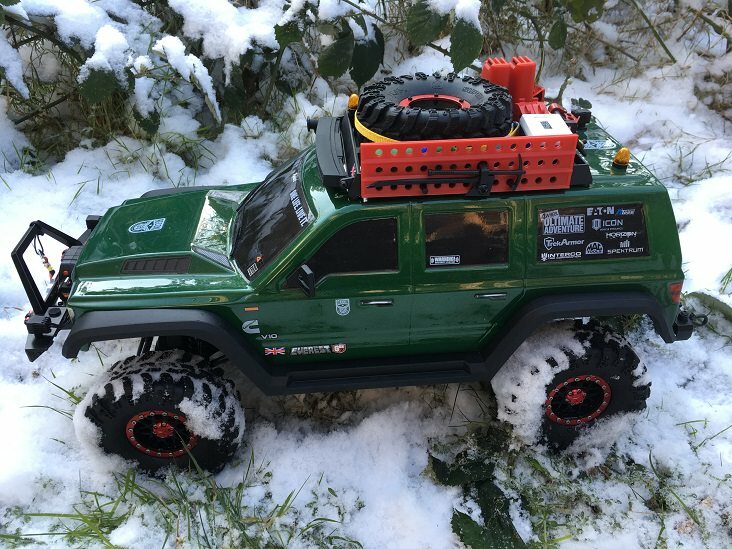 As for a servo I have a couple to try including one from a 1/8 monster truck that has just under 300 oz of torque. 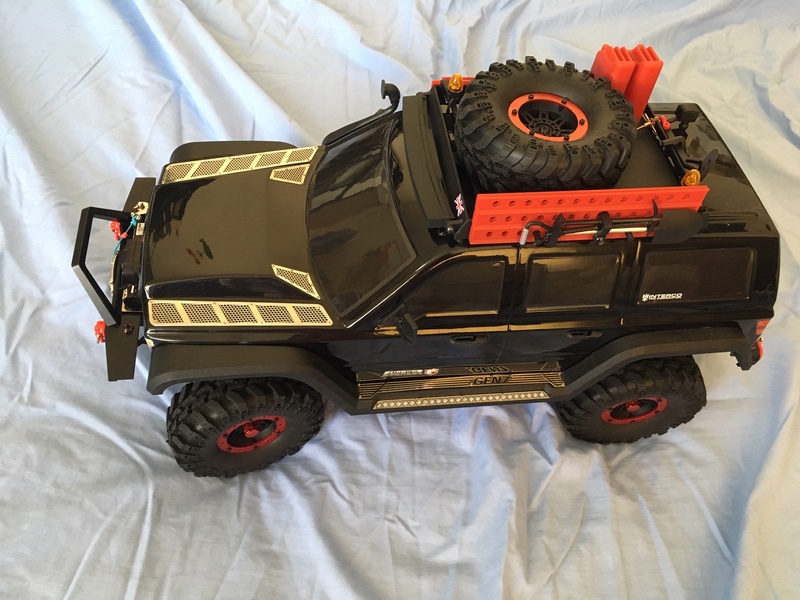 My TRX-4 has a red Traxxas servo and BEC coming on Monday, 400 oz of torque! I hope it fixes my steering issues, I'm tired of breaking servos! Took it out on the trail today in the snow. Did surprisingly well! Hard to video and drive at same time. That's very cool. Can't wait to see how you detail it. Can you put a plow on it? Looks like you need it around there! It looks and runs like a winner! Congrats, Doc. Thanks guys! I know not many people here are into these trucks but for the price you can't go wrong with this one! The trail I took it on was snow covered and very challenging! Steep hill, rocks everywhere! I've got to have someone come with me to record it as there is no way to do both drive and video. Max, yes they make snow plows and even hydraulic pumps so it's just a matter of making a frame to connect the 2. This was my first Gen 7, It was stolen during a house move. And This is my New One, Still tinkering with it . adding bits and bobs. And I will buy The Gen 8 when it hits The UK. Harry Serpent wrote: This was my first Gen 7, It was stolen during a house move. Stolen? WTH? What's wrong with people? SMH sorry to hear that it looked like a real great truck! Glad you got a chance to rebuild a new one. 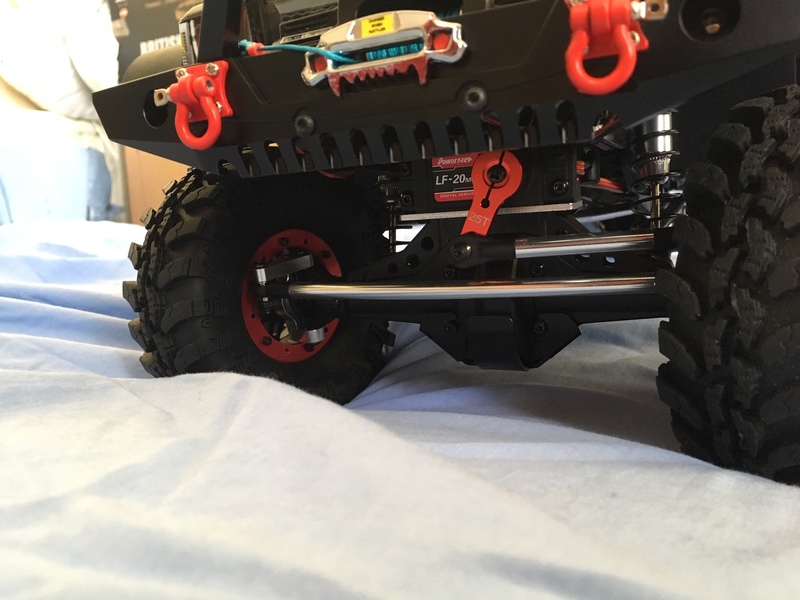 The Gen 8 with these portal axles does really well with even the 1.9 wheels and tires. I replaced my Gen 8's wheels and tires before it ever got run. I didn't like the chrome wheels and they remind me of tractor tires, not a fan. I have found the 1.9 BF Goodrich Trail T/A tires to be some of the best out there so it got a set of them installed on a set of black aluminum beadlocks. I think I'm gonna keep the Gen 8 mostly stock as my TRX-4 is a monster!